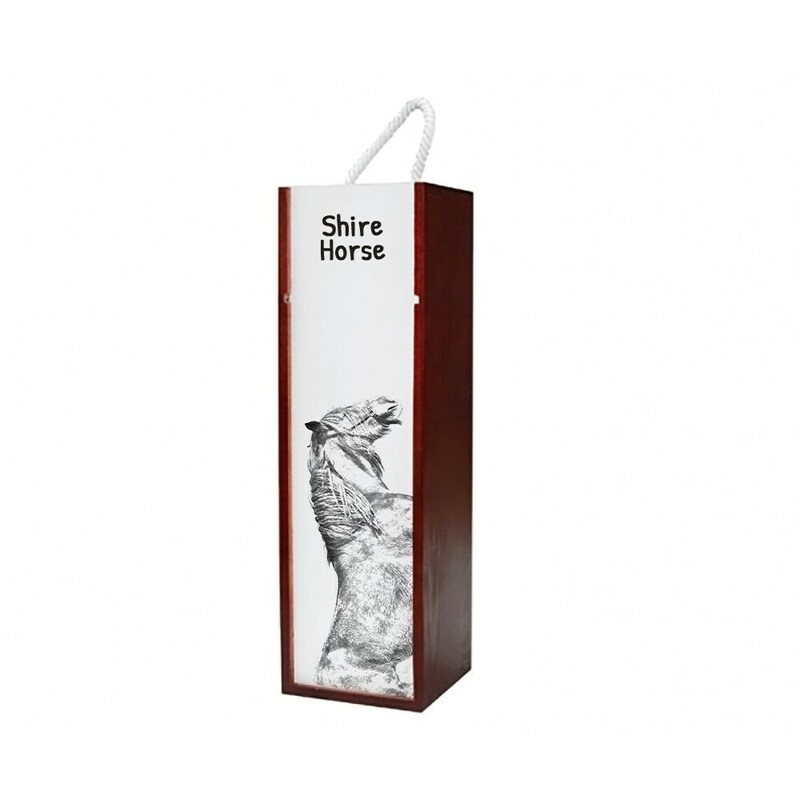 Shire - Wine box with an image of a horse. Wooden wine box with an image of a horse is a perfect gift idea for all horse and wine lovers. The product is a wonderful gift for any occasion. With its exclusive design and unique permanent imprint, made by sublimation, the product is really special. It is great as a gift for a wedding, wedding anniversary or birthday. We offer a wide range of wine boxes with pictures of dogs, cats and horses.